You have learned in the previous tutorial how to start customizing your Empower viral blogging system to have it look the way you want it to look. In this Blog Beast tutorial you are going to learn two more customization options, which are “Footer Data” and “Page Customization”. On your Blog Beast‘s home page click on the “+” sign. This section will appear on top of the blog. In the last Blog Beast tutorial you learned the “Navigation Bar” and “SEO Options”. You see that you have the possibility to change the default “Support Text” and “Copyright Text” if you wish. 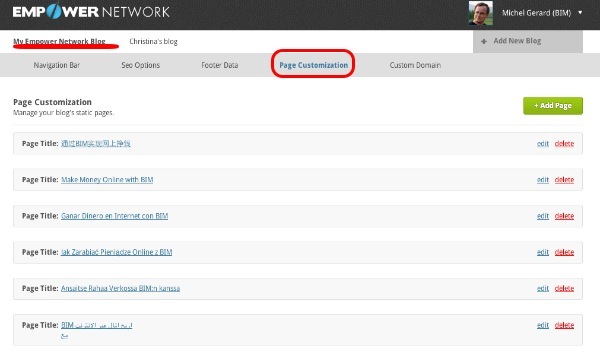 You have also 5 default link URLs that point to different important pages for the Empower Network. If you are promoting the Blog Beast there is no need to change them, but if your blog is about parrots, you should have other links related to your niche. 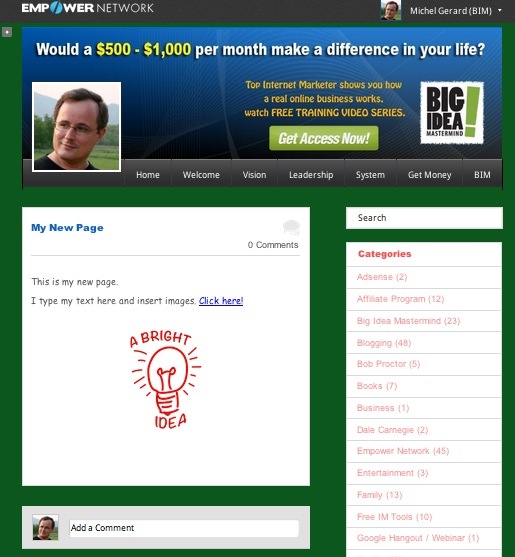 In the example above, I have created a new link with the name “Big Idea Mastermind”, which is an important page on my blog. A new blank link section will always show after you complete a link section. Click the “Save Changes” blue button after any modification is made on the page. See where the text and links show on the blog. Now, we are going to look at “Pages”. 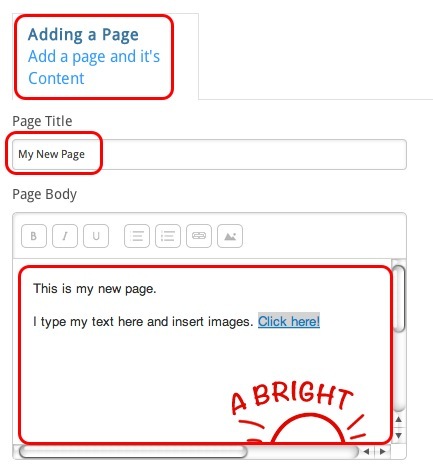 Make sure you are still on your main blog and click “Page Customization”. This will show this page. You can see in the screen shot that there are already a few pages created. This should be empty for you. Click on the “+ Add Page” Green button. Type a “Page Title” and a “Page Body” just like you would do for an ordinary blog post. You can add links, images and videos as well. If you do not know how to do this check out this tutorial. 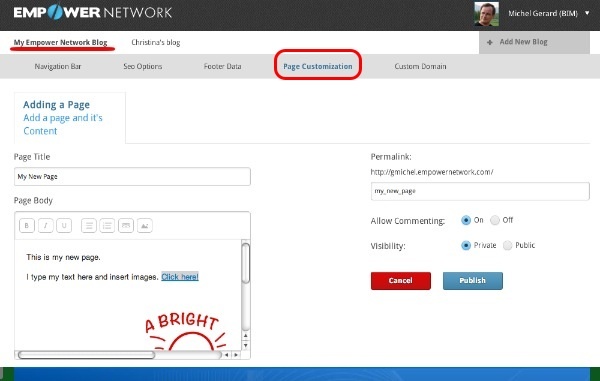 Then, a “Permalink” will be automatically created according to your “Page Title”. You can change it if you wish, but it has to be unique. A “Permalink” is a Permanent Link that will lead to a unique page. You can choose to allow commenting. If you are making an “About Us” page, you may not want to have people commenting. Select “OFF”. Finally, you can make the page Private or Public. Select “Public” if you want it to show on the Internet for all users. 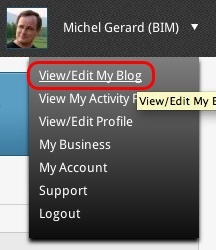 Then, click the blue “Publish” button. If you return to the page for editing, a blue “Update” button will show instead. The SEO Options tab now shows. Enter the 3 elements for the page you have just created. The title, description and keywords have to be different from the SEO Options we set-up for the Home Page in the previous Blog Beast tutorial. If you want to go back to more details about the SEO options, click here. After you have clicked the blue “Save Changes” button, you will see this. Your page shows. You can edit it or delete it. Just click on the links. 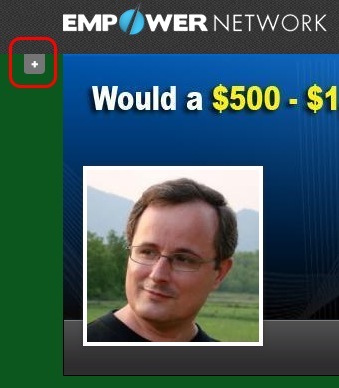 In order for the page to be accessible you will have to create a button in the top menu, or a bottom link. Click here to see how to do this.